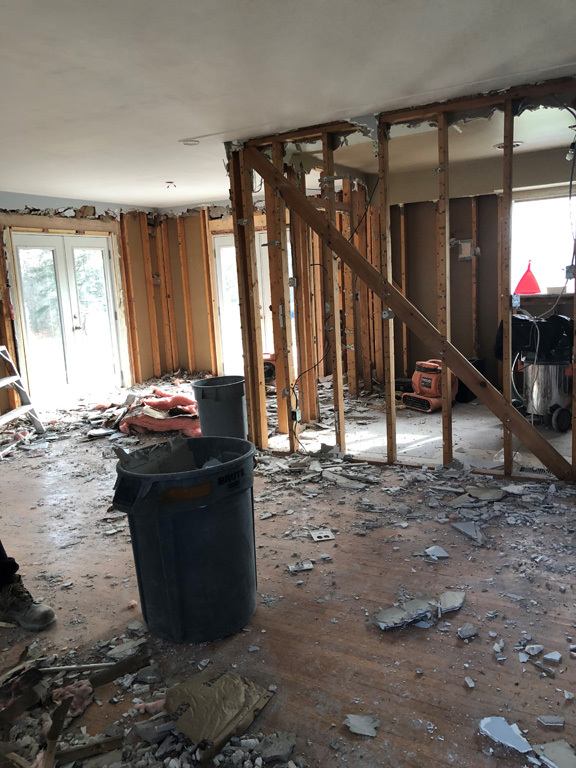 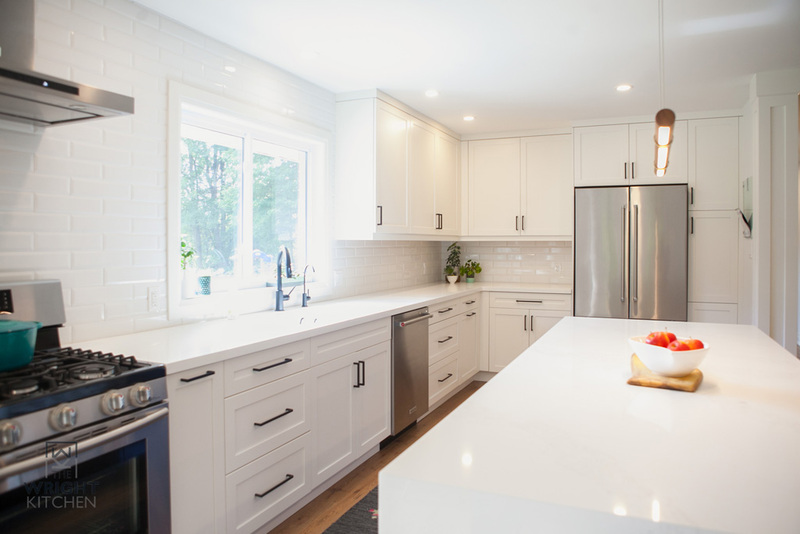 This bungalow in Freelton, ON, started out with a small, closed off kitchen that wasn’t working for this young couple with two kids. 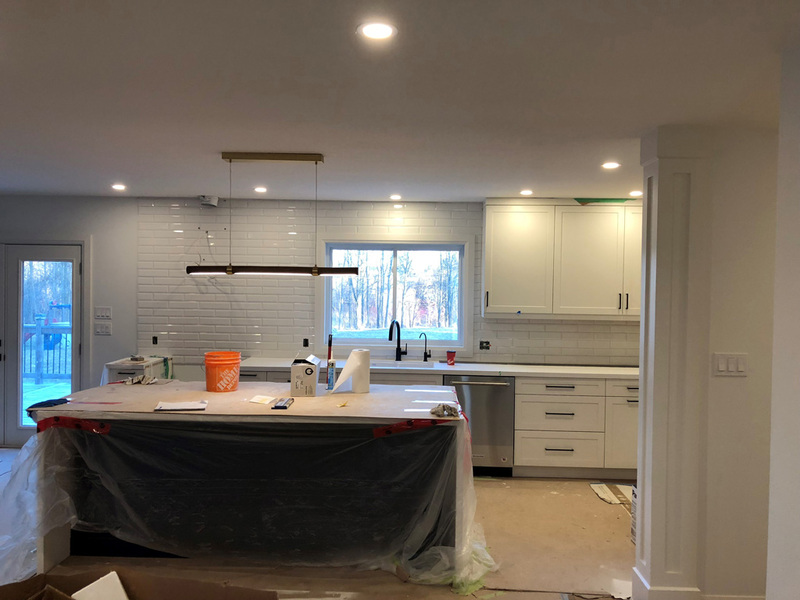 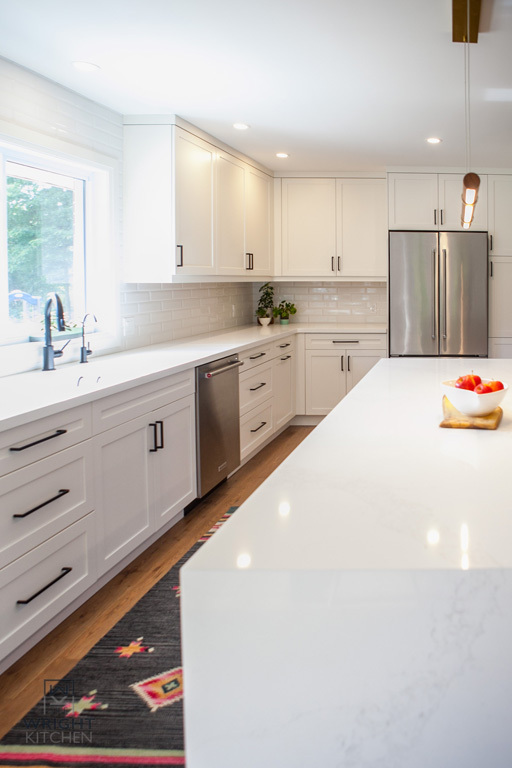 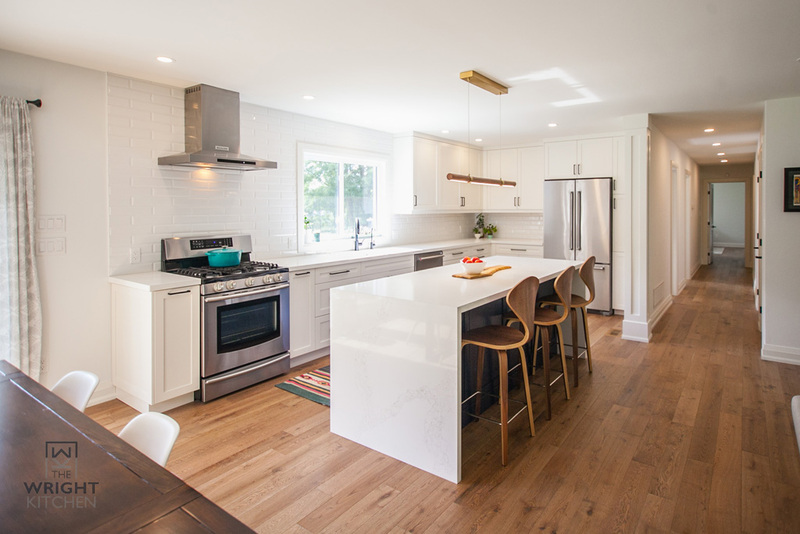 The previous kitchen configuration was crowded and our client’s goal for this renovation was to create an open concept floorplan and give the space an easier flow. 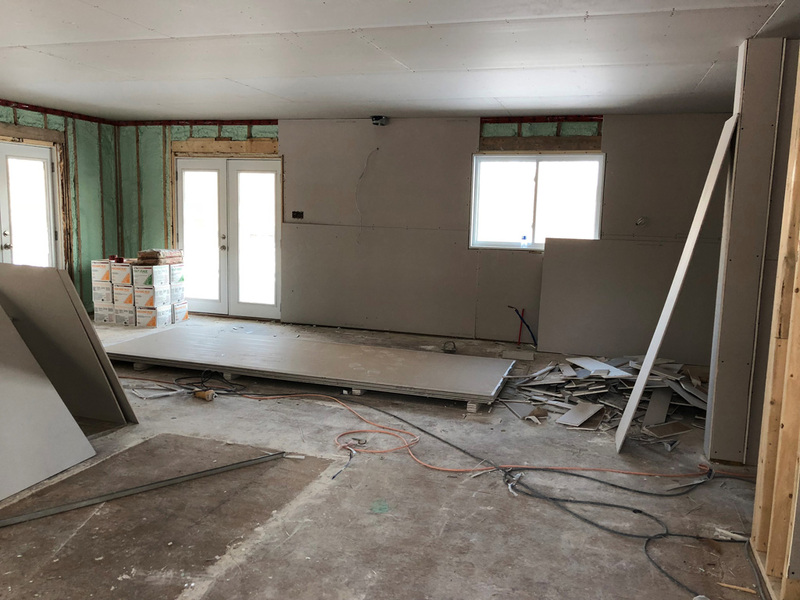 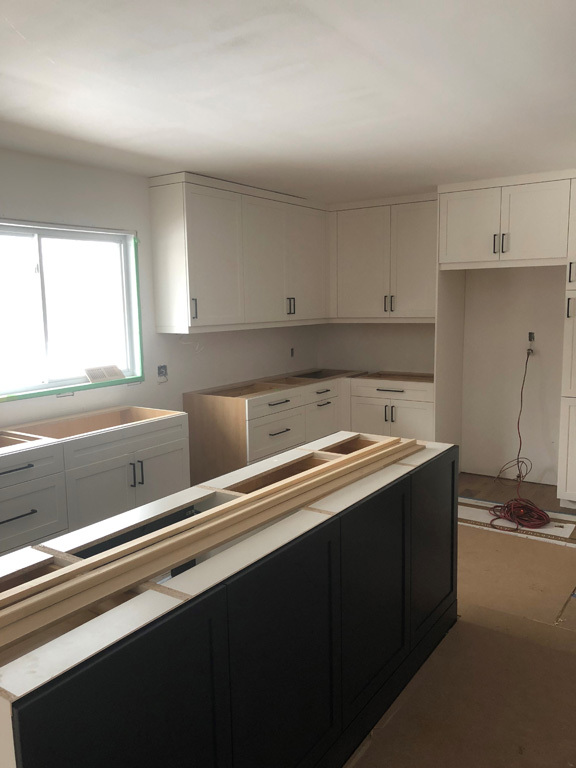 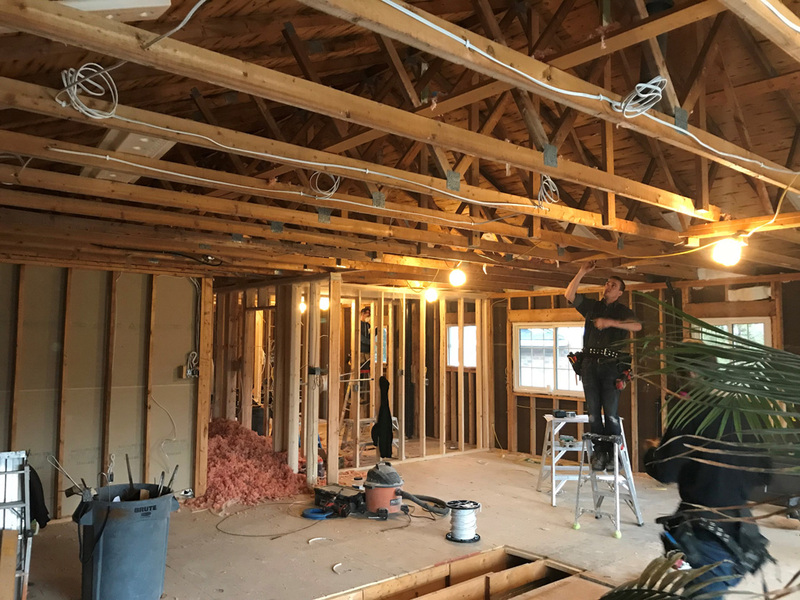 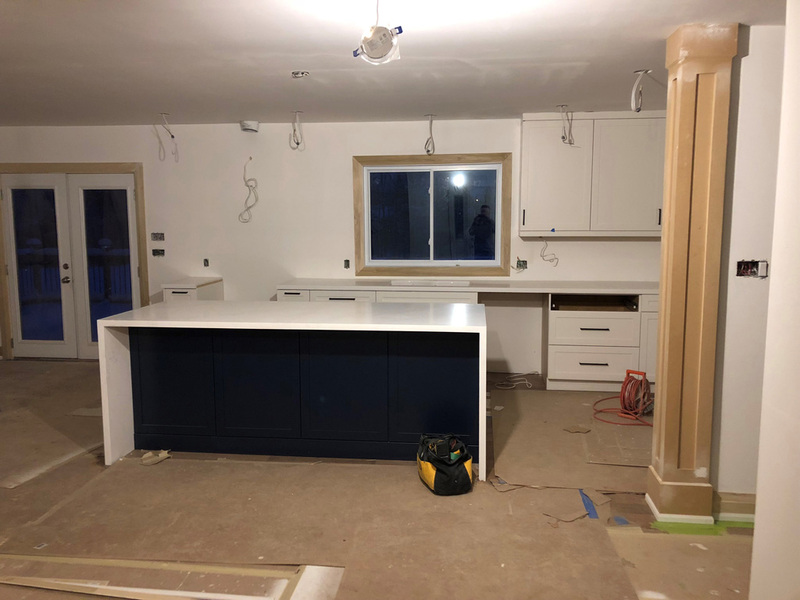 To create our client’s vision the contractor, Jay Catlin of Catlin Inc., relocated the staircase and back door, which was taking away from a functional kitchen layout and storage space. 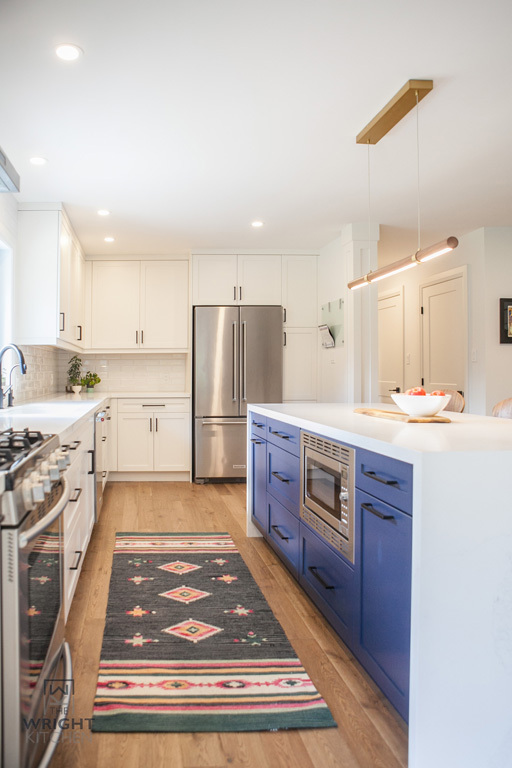 With these changes, the open concept kitchen features white perimeter cabinets that contrast the blue cabinets on the island with plenty of practical storage for this family of four. 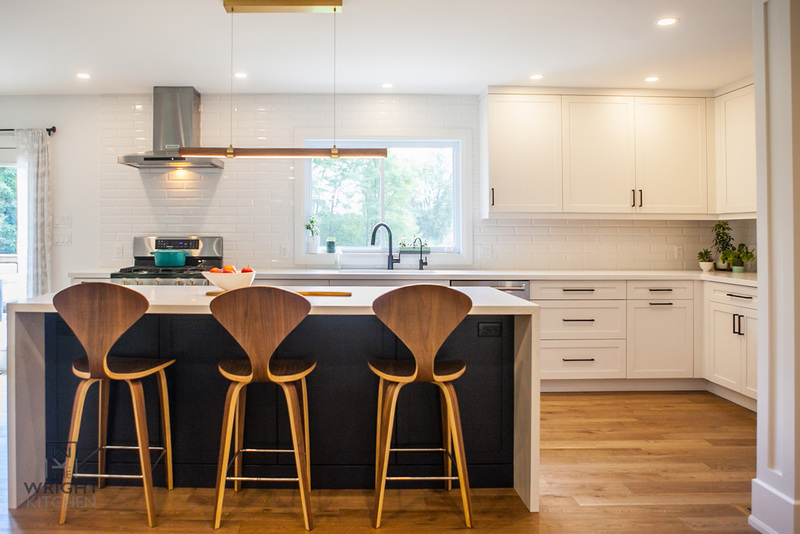 Mid-century modern accents, such as the pendant light over the island and the counter stools, were selected by our client and add the perfect finishing detail to this functional, transitional kitchen. 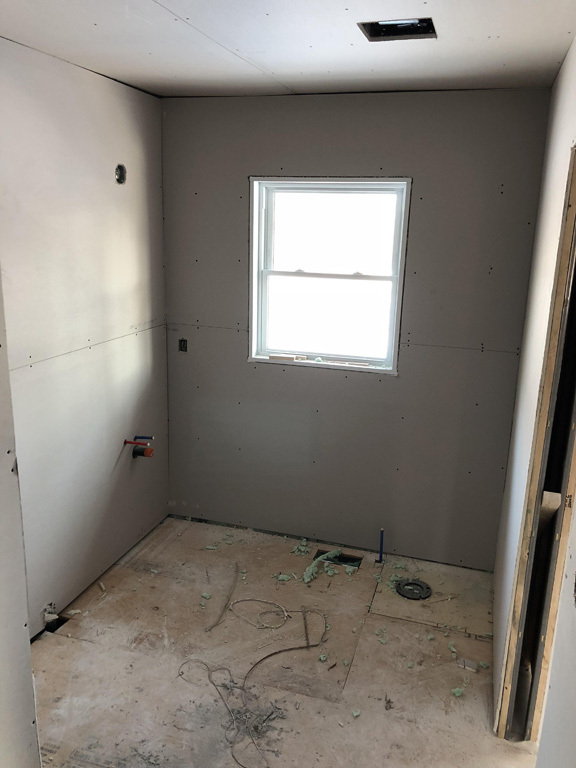 The mid-century modern style was continued into the master ensuite. 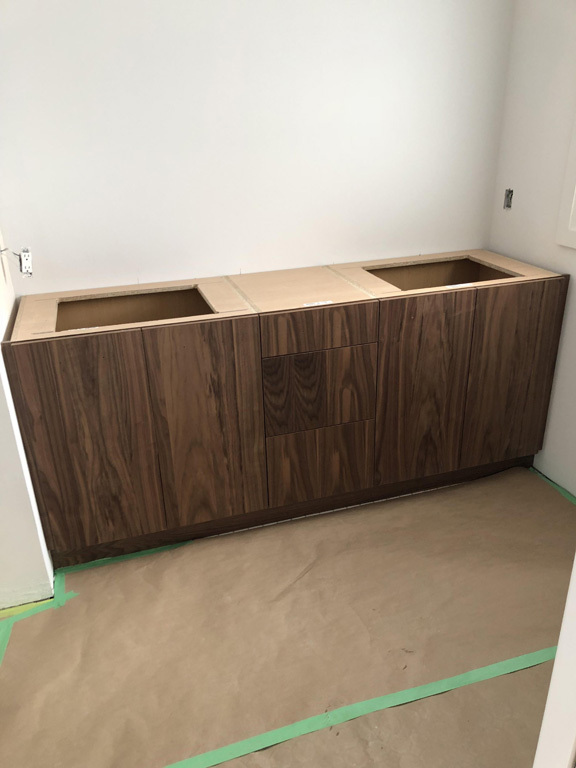 Our client had been on the hunt for a specific style of vanity cabinet but hadn’t been able to find exactly what she was looking for. 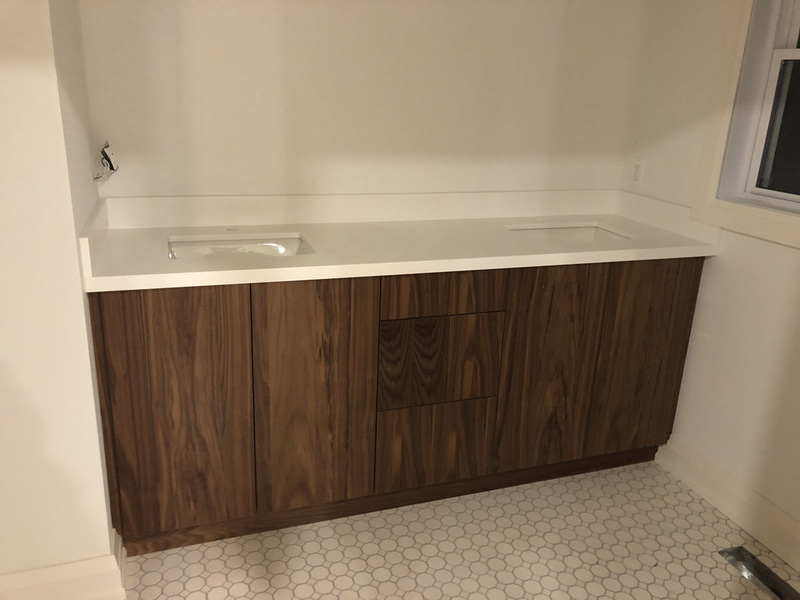 We worked together and designed a vanity that was perfect for the space. 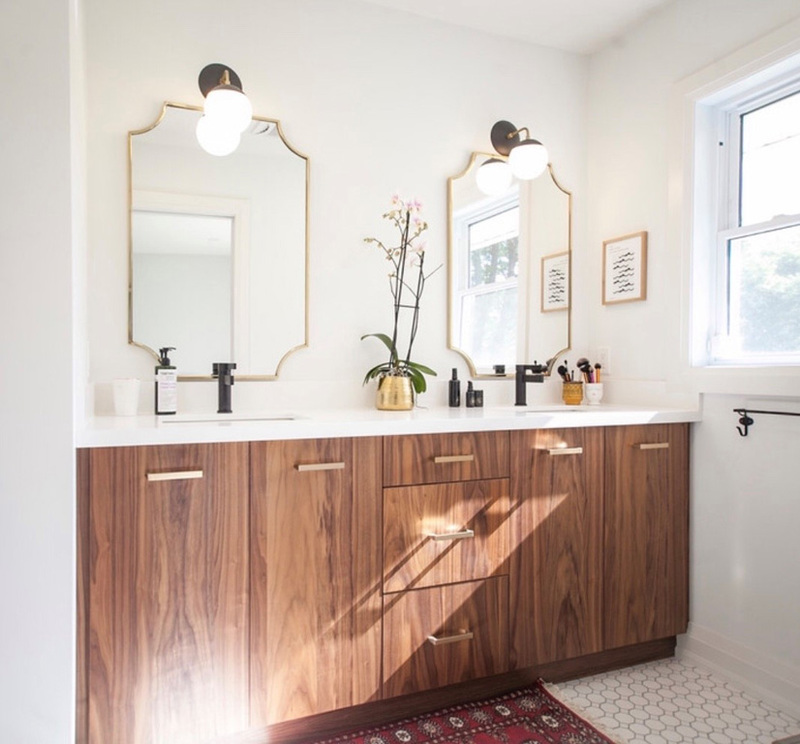 The walnut species, slab door style vanity was finished off with gold hardware and a clean, white quartz countertop. 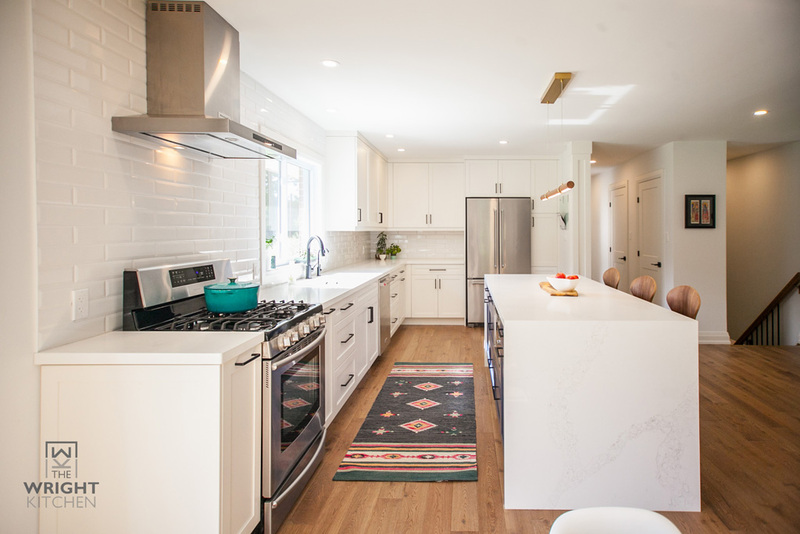 To book a consultation with Morgan please fill out the info below and she will be in touch.